Click HERE or go to the State Conference tab for Conference registration. Click HERE for instructions on completing forms, or go to the state conference tab and hover your mouse for the drop down menu to appear. Then select instructions for fillinf out forms under the State Conference tab. 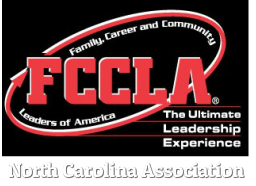 ​Good luck to all of our NC FCCLA Competitors!